2017 WAREAGLE BLACKHAWK CENTER COUNCEL . WITH 115 MERCURY PRO XS. The boat has a 18*V HULL THAT CREATES A SMOOTHER RIDE EVEN IN CHOPPY WATER. 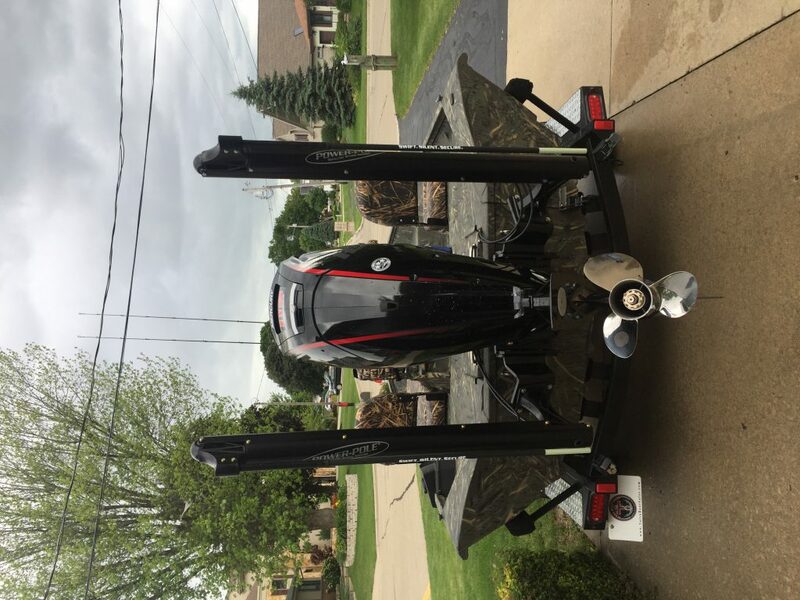 SIDE DEPTH 25′ with 61″hull gauge .100 beam 89″ . Factory options 60″ gun locker with cushion,baystar hyd steering, full shadowgrass spray liner ,duck bill led lights,helix 9 di gps, 2 air rated live wells . 2 8″sportsman power poles stanless prop. Marine master trailer gater hyde . Minkota fourtrax 80lb . 24 volt 3 bank minkota charger. The best fishing hunting boat combo around . vary clean no dents or dings kept in side .